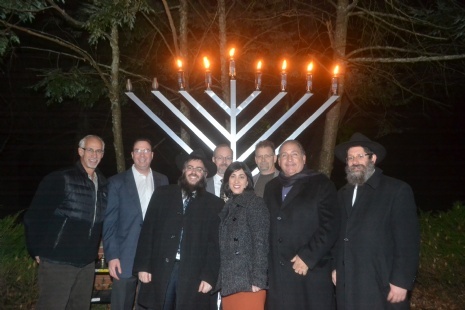 Haddonfield @ Library point with MayorJeffrey Kasko and commissioners John Moscatelli & Neal Rochford. 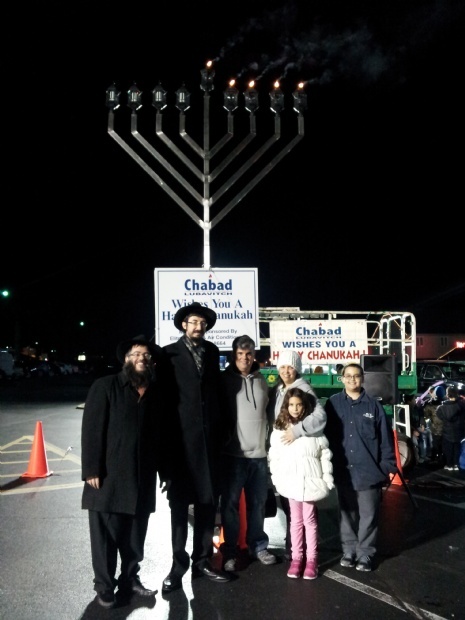 Barclay Shopping Center with the lighting of a Menorah standing at 18 feet tall and a wonderful choir performance by Politz Day School. Thank you Elite Heating & AC and Cherry Grill for their sponsorships. 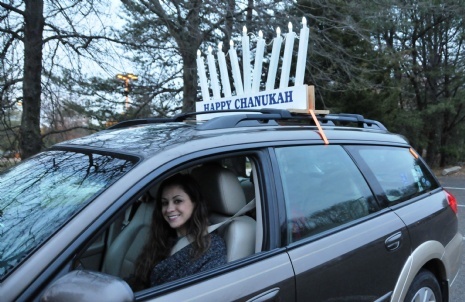 Over 30 cars participated in SJ's Annual Car Menorah Parade. 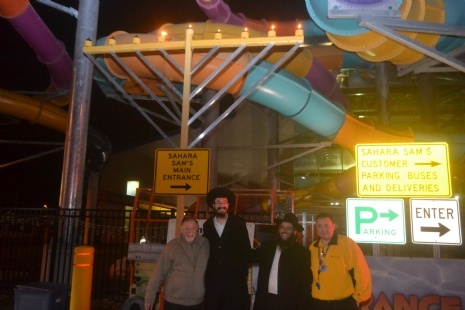 Berlin, NJ - at Sahara Sam's Oasis with a large Menorah standing at 16 feet tall. Thank you to the Girlya family for the Arcade gift cards that were given to all the children. 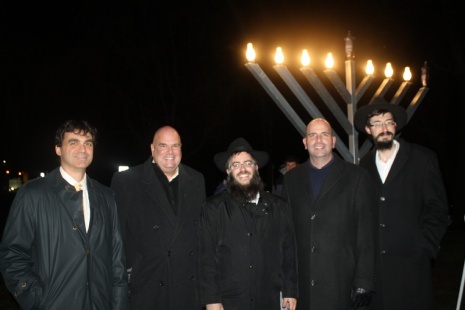 Jeff Beenstock and Chuck Watson. 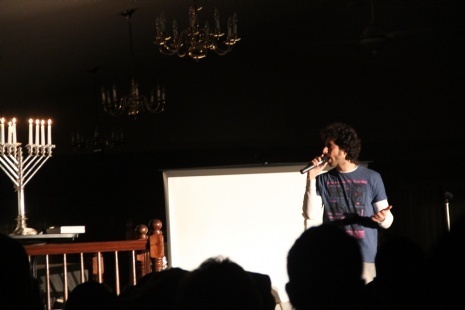 Many attended the Israel Chabad Centers Chanukah celebration with a stand up comedy show with Israel's well known comedian Uri Chizkiya. 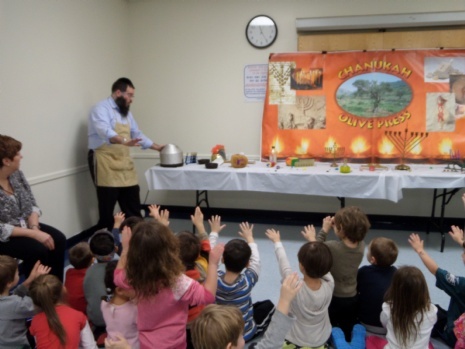 Hundreds of children from local schools (Beth El, Temple Emanuel, M'Kor Shalom, JCC Pre-School Adath Emanuel, Moad Israel and more) got into the spirit of Chanukah with Chabad's hands-on Olive Oil Press workshop.